It’s no secret that those who advanced rapidly when learning to speak Thai do so because they immerse themselves in the language and draw on a variety of learning channels. The fact is, it’s not enough to attend a lesson or two a week, watch a few YouTube videos here and there or randomly ask native speakers how you say ‘this and that'. The reality is that you need multiple methods of immersion at your fingertips. You need to be exposed to the language on many levels. Learning Thai is quite different to say, learning French, which, as an English speaker, I find really easy to pick up – because it's not that far removed from my native language in terms of alphabet and many similar words. Luckily, in this digital age, we have access to courses like Pimsleur Thai that offer a comprehensive immersion experience, specialising in learning languages that aren't intuitive to the learner. 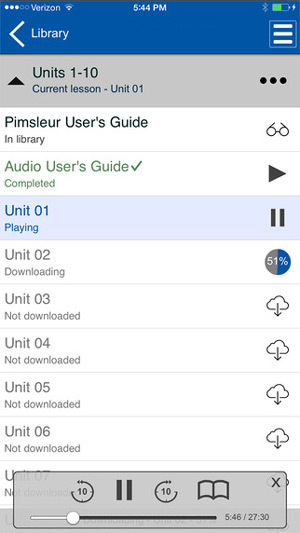 I’ve been using the Pimsleur method as part of my learning for about three years now, and I love it. 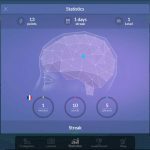 If you've not heard of the Pimsleur technique and don’t know how the system works, let me give you a quick overview, as it’s an important factor in deciding whether it's for you or not. If you do know how it works, and just want to know whether the Thai program is worth buying, skip to the “My Experience” section. During Dr. Pimsleur’s research on memory he discovered that if learners were reminded of new words at gradually increasing intervals, each time they were reminded, they would remember longer than the time before. And so he developed a technique called “optimal spacing”, which is designed to enable information to move from the short-term into the long-term memory. This is really important because as you may have discovered already, often you learn a Thai word today, then when you find yourself in a situation where you want to use it, suddenly you can't recall it. This is because it hasn't transferred into the long-term memory. As you probably know from trying to remember lots of Thai phrases, trying to learn too much actually slows down the learning process. For this reason, Dr. Pimsleur’s method focuses on the mastery of a relatively limited number of words and structures at a time, giving the brain a chance to internalise each new item before moving on. Once your brain has developed a foundation for this method and is adapting to this way of learning, adding new words and phrases becomes easy and natural because there’s a clear framework to attach them to. Dr Pimsleur discovered that our brains are hard-wired to automatically process speech and “anticipate” a correct response, and new connections are activated whenever this automatic system is triggered. Therefore, a core part of the Pimsleur technique focuses on systematically asking for understanding, pausing for a response, and then reinforcing the correct response. This way learning is accelerated through the activation of new neural pathways in the brain. 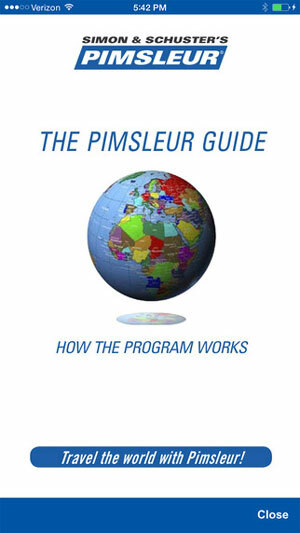 Pimsleur follows an organic structure that always teaches words and phrases within the context of a conversation or exchange. This allows the brain to automatically integrate intonation, rhythm and pronunciation. This in turn helps embed words in your brain, so when you need a word, it’s there on the tip of your tongue. I’ve studied a lot of Thai over the past 6 years. I’ve used different software, attended school and studied at home with my wife. So then why is it that I often get into situations where the simplest words just disappear from my memory and I can’t remember how to form a particular question? I used to blame this on being bad at languages. I'm just not that guy who is good at exams or reading and retaining tons of information. Because of this, I almost gave up learning Thai at one point due to being disappointed with my ability – especially when I see these guys with their “I learned fluent Thai in 3 months” adverts. But after discovering the Pimsleur technique, I began to understand why my brain worked the way it did and that I'm not bad at learning, rather often, not always, learning in the wrong way. Once I began using the audios for the graduated interval recall, even though I knew a lot of the words already, when it came to recalling them on the spot in situations like buying stuff at the local market and engaging in general chit chat, my memory began to get far sharper. I began to eliminate that annoying “Oh man, I know this, why can’t I remember it” syndrome and began retaining a lot more information. I adopted this technique into other areas of my study too. 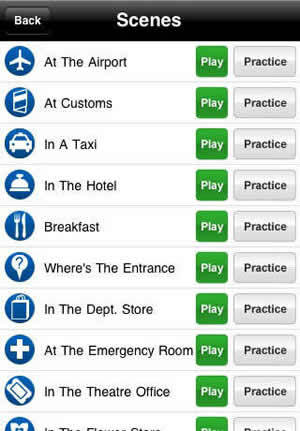 For this reason, I recommend having the Pimsleur audios on your iPod/Mp3 player, so that you can immerse yourself in phrases and words you’ll be most likely to need on a day-to-day basis. Within a few days you will notice that your brain begins to recall words a lot faster. Even though I’ve completed the course, I still go over specific lessons on a regular basis. It's usually in the gym, at the airport or when on the BTS/MRT in Bangkok. Perhaps the most difficult thing about Thai is mastering the accent and intonation. There is no way to learn this other than to keep hearing conversations in incremental doses and internalising the sound. In this respect, the Pimsleur audio-learning approach is extremely effective; because you internalise with the lessons and then externalise by practicing with native speakers. 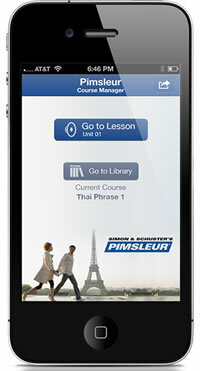 The Pimsleur ‘Thai 1' course consists of 30 lessons, plus reading material. This totals 16 hours learning. The suggested learning time is just 30-minutes a day, so while 16 hours might seem a lot, the Pimsleur approach is gentle but effective. How to have simple conversations with a near-native accent (basic). How to ask for and give basic directions (basic). How to handle basic aspects of travel (basic). How to confidently deal with social demands (intermediate). How to communicate when making plans and visiting friends (intermediate). How to talk about family and express opinions (intermediate). If you can’t afford to shed out the $119 for the whole MP3 course in one go, you can buy 5 units at a time at $21.95 each. You'll save $13 buying all the lessons in one go. There is a CD option available for those based in the USA, but in my opinion it isn't worth it. Why pay double for the CDs when you can download and burn the audio to CD if you need it? The app is a great addition to the program. It manages and organises your learning in a way that provides a tangible way of tracking progress. In short, it compiles the lessons in a more visual and accessible way, making it more course-like. It's really easy to use, so don't worry if you're not a tech-savvy app kinda person. Here's a few screenshots on both iOS and Android. 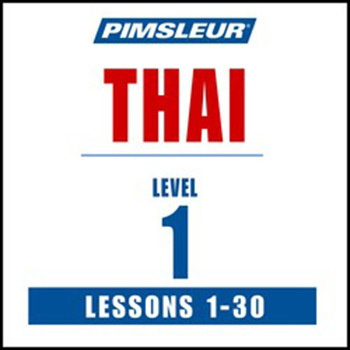 Is Pimsleur Thai for You? 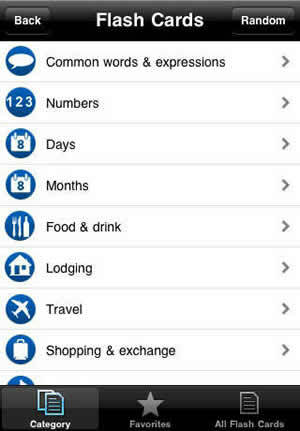 Pimsleur Thai is an invaluable learning tool, especially if you’re new to the language. While you might be apprehensive to lay out the cash, look at it as an investment that will pay dividends over time. Your overall experience of Thailand will go way beyond the limitations of tourist areas and bar talk and you’ll develop a greater understanding of the culture and people. The fact is, you’ll never understand Thailand from a native perspective if you can’t understand the language, period. So many foreigners express opinions about Thailand that Thai people simply laugh at because “they just don’t understand”. This is why Thais appreciate it when a foreigner learns to speak Thai, because it demonstrates that they have a genuine interest in trying to understand Thailand – Thainess and everything that comes with it. Do you want to go beyond “Sawadee khrup” and “Sa bai dee mai khrup” and have real conversations with Thai people? Do you want to be more than “just another tourist” that can’t speak Thai? Do you want to communicate better with your Thai partner and truly get to understand her/his personality and opinions? Do you want to be able to understand Thai to a level where you can follow and contribute to group conversations? If you answered “yes” to any of the above, then Pimsleur Thai will help you start to achieve the above and grasp basic Thai fast. You’ll learn a lot very quickly and won’t regret the investment once you start stringing sentences together. UPDATE: You can now get a 10% discount coupon for future purchases when you try a free 30-minute lesson. Your review of Pimsleur is accurate. However, I bought the course a couple of years ago, and ended up asking for a refund because the native thai male speaker is speaking waaay too fast compared to the native thai female speaker, and I found his pronunciation to be lazy, again compare to the female speaker.The Pimsleur company wrote back to me and said that he’s just speaking like a normal Thai man does. Yes, that’s fine, but it’s still way too fast for my beginning language brain.So, I found a solution which solved the situation. I imported all of the audios into an eBook & podcast app called ‘bookmobile’, where I have slowed down the native speaker enough so I can clearly understand what he’s saying.Apart from this, it is an excellent system that I encourage your readers to follow.And thanks also for a wonderful blog. I have recommended it to many of my expat friends. I have been to Thailand many times. I met my wife in Thailand (she is from Hat Yai) almost 30 years ago. I have often tried to learn Thai and I have a fair grasp and can follow conversations, but I agree on two points - You need to hear native speakers to understand the tonal parts of the speech - it can make a HUGE difference in how you are understood. I also highly recommend learning Thai writing. Western alphabet characters do not do the Thai language justice. 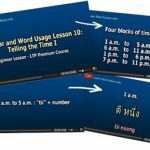 If you need to learn the proper pronunciation and can see it written in Thai you will immediately understand how the word needs to be pronounced. Bear in mind Thais speak with different accents and pronunciations. Southern Thai is clipped and a bit harsher than Northern Thai. NE Thai is different yet again. Pimsler teaches educated proper Thai so it might sound a little formal for Thais - but they WILL understand you. Prices apart; i.e. re method and levels: how would this compare with Podcast 101? Of much lesser important, there must be a mistake somewhere coz it seems paying in 5 parts SAVES usd 9.25. I'd say the Pimsleur method is more classic in style and better suited to those who were brought up with learning through this style of memory recall. Thaipod is a more modern style program for those who want a more fun approach to learning. They are both worth having in my opinion, because Pimsleur will only take you through the beginner phase, whereas Thaipod goes right up to intermediate-advanced. You can read my review of Thaipod here. It really depends what level you are at. You can check out my review of Thaipod101 here, which is very good. With any book or course though, I reccommend as much real life immersion as possible. Speak Thai with Thais as much as you can.